These coffees are a part of Argote Specialty Coffee, one of the leading small entrepreneurial family exporters in Colombia. Our first family farm coffee, and the very first specialty coffee to come out of the village of Colón Genova in the north of Colombia's world-famous Nariño region. We came in contact with Juan Pablo Lasso Argote in 2014 through a mutual friend and visited his family's remote village on nothing more than a hunch. Once in Colón, we found a unique coffee with astounding complexity and a full, dried fruit-like body. We hit it off with the Argote family immediately and a partnership was born. In the first year, we helped them obtain hulling equipment and an export license so they could sell this coffee straight to us. Less than two years later, they became independent exporters, have created raised beds, helped their friends of the Salomon Muñoz family process and export their crop, and our first field baristas have helped to experiment with honey and natural coffees and cascara. The 2016 washed crop was fermented for the first time as well, a great tweak that has made the coffee's sweetness more layered. This year, we have the fermentation complexity of 2016-2017 but better rainfall, so more fruit and depth. Roaster Jelle van Rossum suggested prolonged fermentation for an experimental tasting box, which will perhaps lead to a new fermentation standard for consecutive harvests. We also cupped and rewarded individual farmer microlots after a successful second field barista project. Expect cherries and hazelnuts and florals in the Lasso Argote lot, and wide variety - including cane sugar and apple cider in the Salomon Muñoz lots. These are the 2018-2019 season Argote Specialty Coffee farmers. Since this year, Argote upgraded its full traceability of every single 35 kg bag of coffee by naming the actual farmer on every coffee bag! We’re also excited to welcome two new and very young farmers: Jhoan and Sthefania. Cup profiles vary only slightly, except for the two farmers whose coffee stood out most in our cuppings and earned an extra $1 p/kg - on top of our usual premium. See the offer list for taste notes and whose coffee we currently have in stock. Our Colombia value chain is quite unique. It is not often that you see a smallholder coffee farm controlling and owning all origin activities of the value chain. Our investment in a hulling machine and Juan Pablo's entrepreneurial spirit are the main reasons for this structure. Very first specialty coffee to come out of Colón Genova in Nariño. Production, harvest, wet- and dry milling all done by the Argote family. Produced without pesticides, the Argote family inspect all coffee trees visually for signs of leaf rust. Actively creating a village of specialty coffee producers. 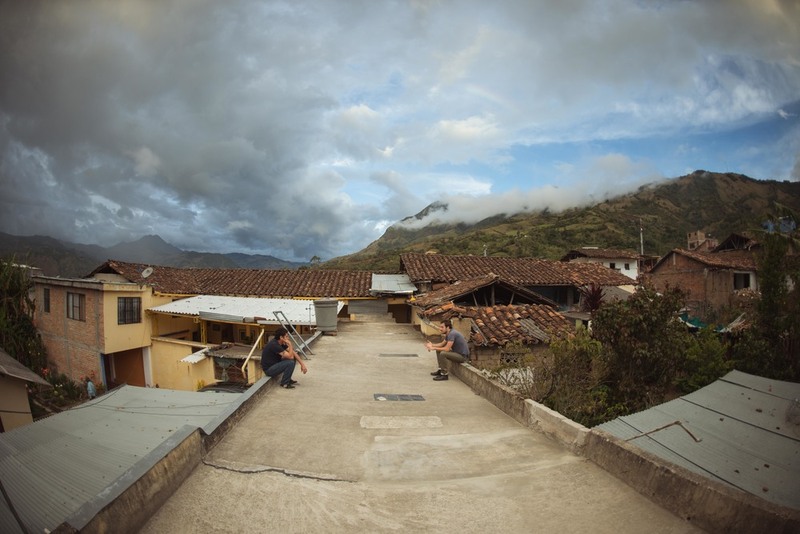 2016: built covered and raised drying beds, installed fermentation tanks, hosted first ever Field Barista Project, created first honey and natural tests, exported first cascara, helped Muñoz Diaz family process and export their microlot. 2017: created individual farmer lots and rewarded the best ones with a $1 p/kg premium; initiated first organic fertiliser trials; created three experimental fermentation lots (30, 42 and 66 hours) in cooperation with Jelle van Rossum. 2018: 3 more farmers trained and added to the producer base. Nursery created and SL28 planted. First direct export to a roaster. Names of all producers printed on the bags. Cascara quality control protocols developed. fully washed: hand picked, depulped, washed with mountain water, fermented for 18 hours, sun dried on concrete patios and on raised beds, manually sorted at the farm in four separate rounds, hulled and bagged at the Argote family farm. The average price you pay for Argote coffee p/kg. This Side Up pays US$ 7,26 straight to the Argote family. From this, they pay for the harvest, wet- and dry milling and local transport of the coffee, and retain around 50% more than they received from selling their parchment on the open market. The price we pay Juan Pablo Argote for his green (milled) coffee. It is quite rare to pay the export price straight to a smallholder grower. The extra €0,43 is a premium that in 2015 financed 50% of a new hulling machine. In 2016, they spent their premium on raised drying beds and a trip to Holland. In 2017 and 2018, they reserved the premium for another drying bed expansion and a brand new nursery..
Total shipping costs from Buenaventura to Rotterdam + local clearance and warehousing. This Side Up compensation for spending time and resources importing this coffee. Our work includes building relationships with shipping and warehousing partners, managing export, import and shipping bureaucracy, Q grading, sampling and jointly promoting this coffee with the Argote and Muñoz families. Average financing cost (5% of the sales price) we have to pay lenders - simply because we don’t have the money in the bank to buy such large amounts of coffee all at once. This ensures immediate payment to Argote Specialty Coffee when the coffee leaves the port. Compared to last year, we note more and different acidities in the Argote. We're actually finding the best results using the "TSU Washed 1" we developed for Rwandan beans. It develops the complex acidities in the cup, while still allowing the chocolate / nutty body and layered sweetness to develop adequately. Cut the roast short if DTR exceeds 23%. "The Lasso Argote family lot has notes of red fruits, darjeeling tea and dark chocolate this year"
You may use these images freely to promote Argote among your customers. Credits to Nick Levin and Aukje Simone van Rossum. Juan Pablo Lasso Argote is our close friend. He was responsible for making his family's direct export possible, and is active on social media. Next to his native Spanish, he is fluent in English and French. Many in the coffee world have come across the name “Nariño” at some point, perhaps most famously from the fact that Starbucks sells it as a single origin offer. Nowadays there isn’t a village in the mountains of Nariño that doesn’t have sign of a (supposed) campaign running from some big coffee company like Starbucks and Nespresso. But ever since the rise of the Third Wave and direct trade relationships, other regions such as Huila and Medellín have stolen some of Nariño’s thunder. 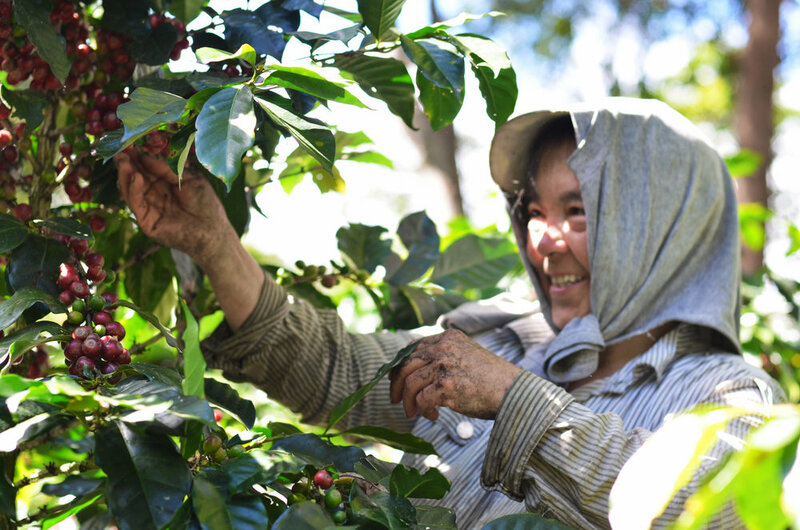 Apart from a few notable exceptions like the efforts of the Borderlands Coffee Project to promote the region to American direct traders, the old coffee buying model still provides most of the region’s sustainable income. 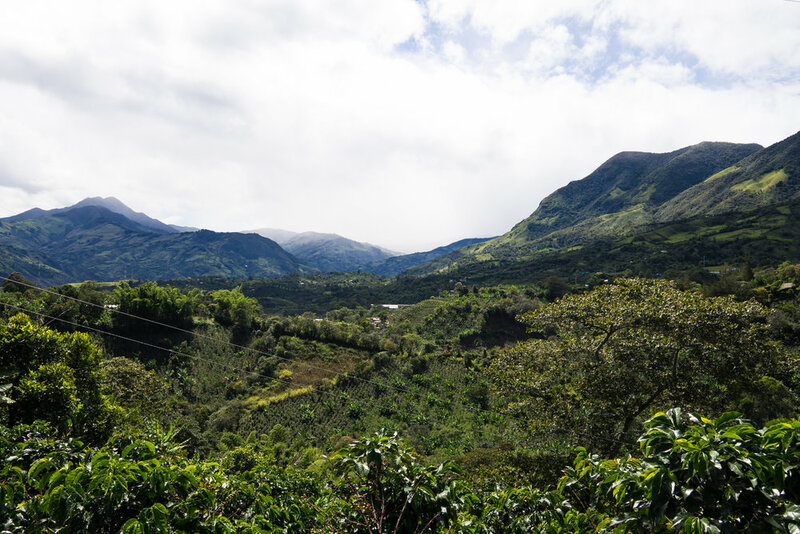 Take it from us, though: Nariño is still one of the main stars of Third Wave Colombian coffee and an incredible coffee origin. Rainfall, temperature, solar radiation, organic matter in the soil and even wind conditions are all perfectly fit to entice the coffee shrub to making the best cherries possible. Within Nariño, the altitude at which the village of Colón is situated is perhaps this coffee’s most unique feature: On the one hand, the shape of the mountains here allows the warm, moist winds from the valley to blow upwards at night, which makes coffee cultivation here viable at altitudes that elsewhere would kill the fragile shrubs. On the other hand, cold trade winds from the south find its way to this region. This interchange of cold and warm influence make temperatures here fluctuate between 7 and 30 degrees Celsius, forcing the coffee to hold on to and trigger the production of more sugars, the solubles responsible for the acidity of the coffee. These dreamlike conditions are unlike we’ve ever seen anywhere in the world, and are what gives this coffee its beautiful acidities, smooth mouthfeel and pronounced aromas. As with most of This Side Up’s partners, this one came to us serendipitously through an introduction from a friend of both Lennart and Juan Pablo. 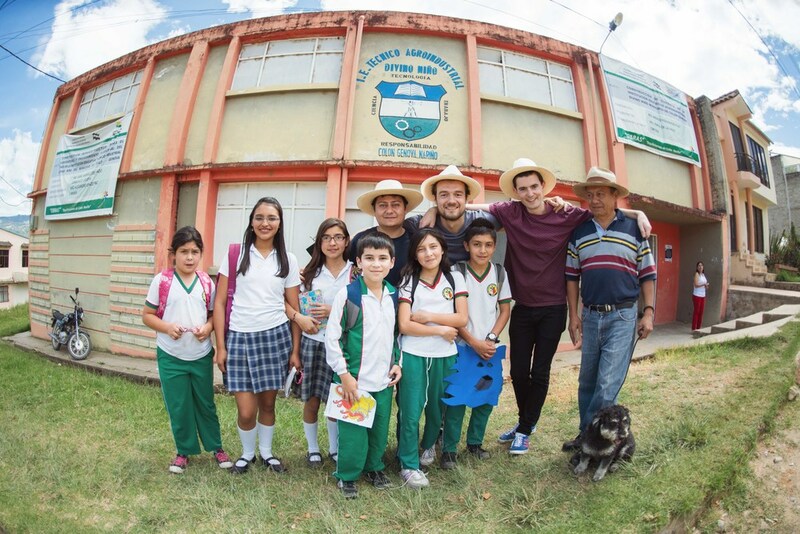 On an exploratory trip to Colombia in 2014 with friend and serial entrepreneur Fraser Doherty, we decided to have one last stop in Nariño to meet Juan Pablo and fellow coffee grower Hernando Gutierrez. We cupped several coffees and were blown away by how they compared to everything else we tasted on our trip. Of these coffees, Juan Pablo’s took a slight lead over the others, so we were anxious to see where it was grown. 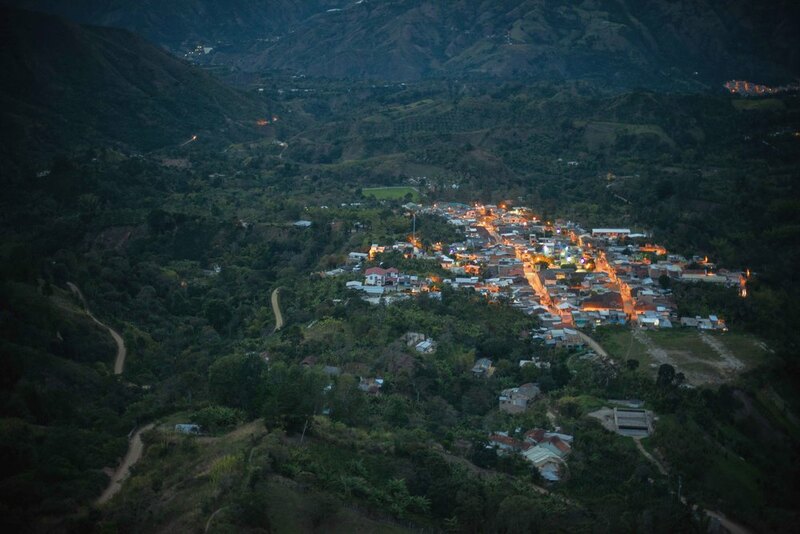 After a six hour drive, we arrived in the secluded village of Colón Genova, a 100-year old coffee growing settlement on the border of the departments of Nariño and Cauca. The next days we spent in the family house and learned with how much care the entire family treated picking, sorting and processing of the coffee. True to Colombian hospitality standards, we too were treated as family and showed around the farm and village by Juan Pablo and his father Efrain. We met other growers and talked about the needs of the community. We learned that Colón was largely left untouched by development programs, save the standard training programs of the FNC. The example of Colón Genova shows just how greatly one can impact a community by buying coffee straight from smallholder farms. We calculated that if five containers of the village's specialty coffee could be sold through direct channels, there would be enough money to provide adequate food supplies, health care and education for everyone there. It didn’t take long before we started discussing how we could work together to reach these goals in the years to come. The first step was to upgrade their processing standards and export their 2015 crop to Europe. When we left Nariño, a partnership was born - and we have been in touch with Juan Pablo at least weekly ever since to talk about quality upgrading, export licensing and a thousand other things. In May 2015, we financed 50% of the hulling machine that has allowed full processing to be in the hands of the Argote family, and in the autumn months we worked out all the bureaucratic details of how to export this coffee with the help of Hernando. The coffee has now arrived and surpasses all expectations: it is even more floral and bright than what we cupped. It is safe to say that this is the best bet This Side Up has ever made. The coffee is now almost sold out and we are preparing for the new harvest. Juan Pablo has been taking specialty coffee growing / cupping courses and decided that this year's premium will go towards building raised beds instead of the patio they now use, as well as upgrading all washing processes to 1) allow fewer defects to create a cleaner cup, and 2) be able to efficiently process more of the village's coffee - eventually even all of it. 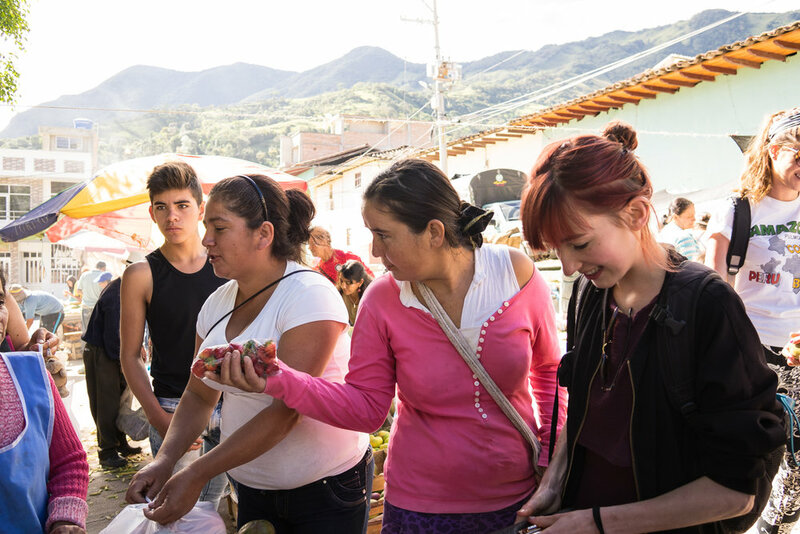 In Juan Pablo's own words in a Facebook chat: "my goal is not to make myself rich but to share the profits of our quality with as many growers as we can. It´s my dream that one day we can make all of Genova´s growers participate in the exportation process and have a unique quality standard." It's our dream to be working with someone who thinks like this! A few weeks before our second harvest arrived in Rotterdam, Juan Pablo visited Holland to get a better idea of the world he is selling to. For two and a half weeks, both Lennart and some of the 2016 Field Baristas (Aukje, Janneke, Stefan, Skip) took him to see all the places that sell his coffee as well as give him trainings and lectures about aspects of specialty coffee that not so easy to learn back home: such as making a world-class espresso (Vinni Zwaan), agro-entrepreneurship (AgriTerra) and roasting (John Schot). In general, it was amazing to see our close friend become ever more knowledgeable and open-minded about specialty coffee and to discover the implications of knowing the Third Wave well for a coffee farmer. It's hard to state all the ideas that bursted from this beautiful shared experience - in any case we will all never forget this exchange!